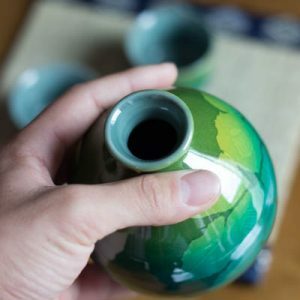 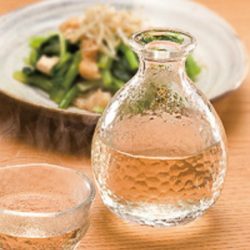 This super-thin Tokkuri Server can be hand-blown by only a limited number of the skilled artisans in Matsutoku Glass manufacturer. 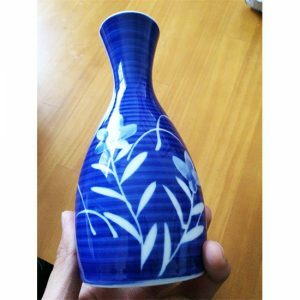 Creating this sophisticated shape requires very high skills and long experience. 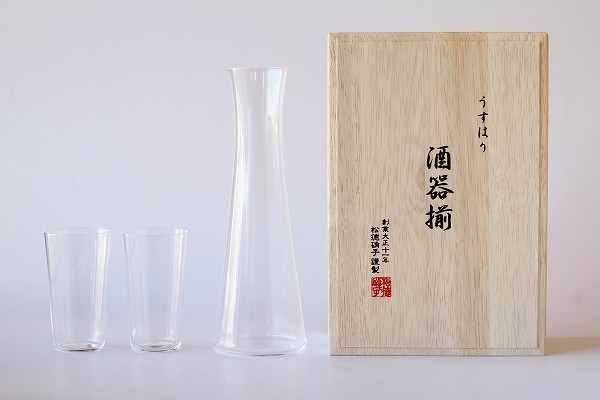 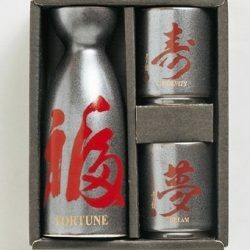 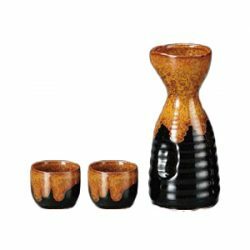 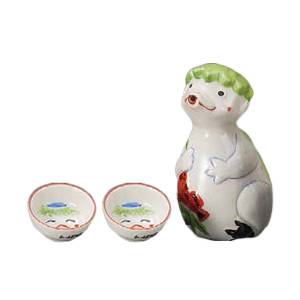 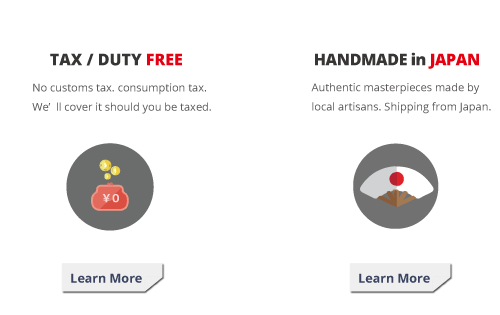 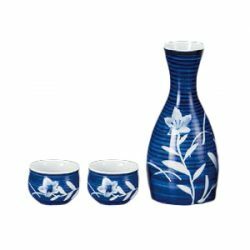 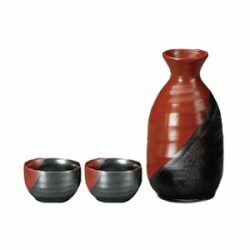 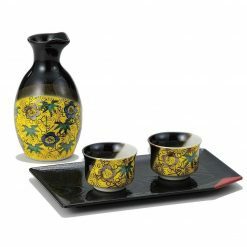 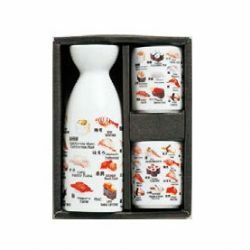 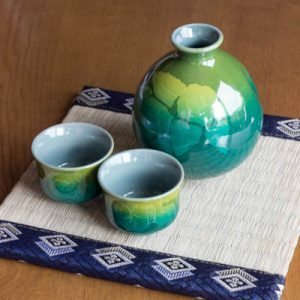 This Sake set comes with one Tokkuri server and 2 glass tumblers. 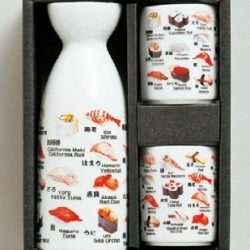 For cold Sake. 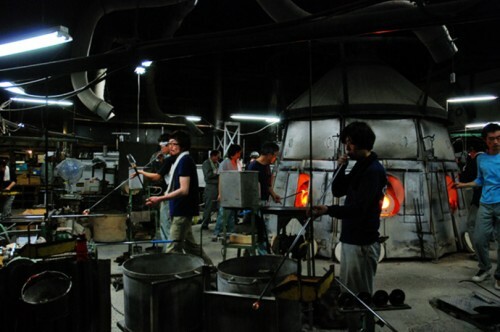 80 year-old glass manufacturer hand-blows each piece. 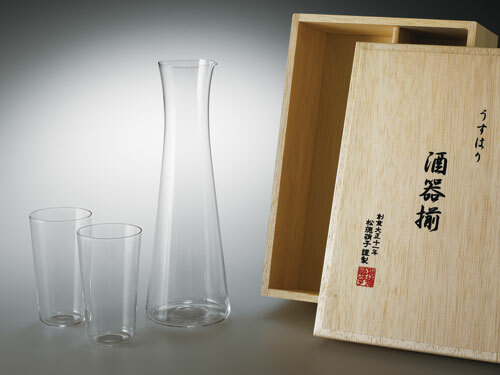 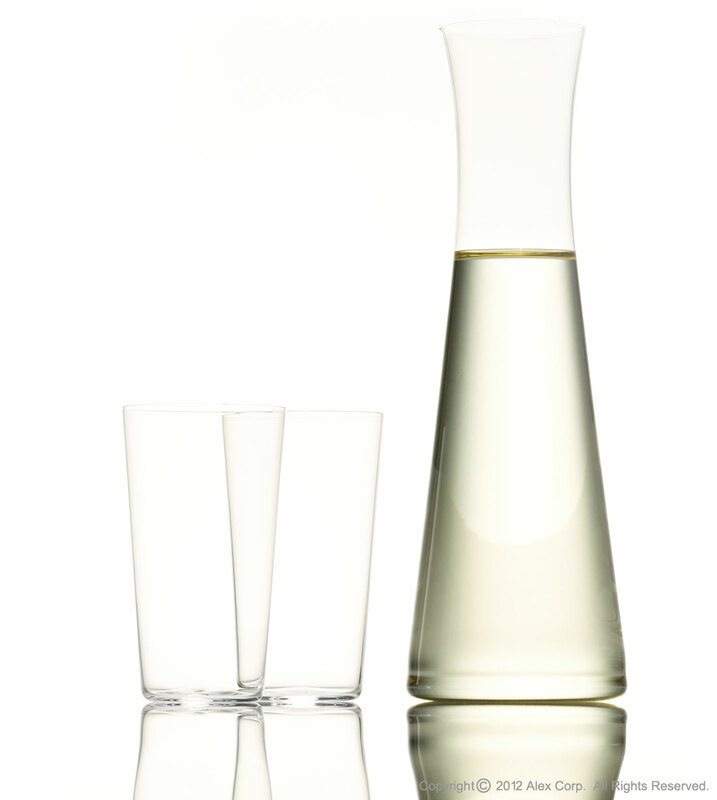 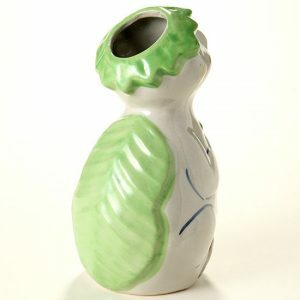 Usuhari is super thin Sake glassware made by Matsutoku Glass, a long-standing glass manufacturer (est. 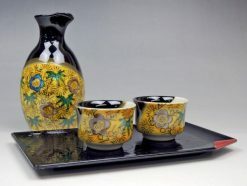 1922). 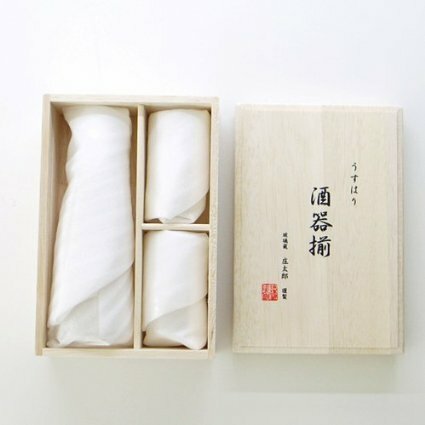 They used to make hand-blown light bulbs, and finally applied their hand-blowing techniques to make this super thin Usuhari. 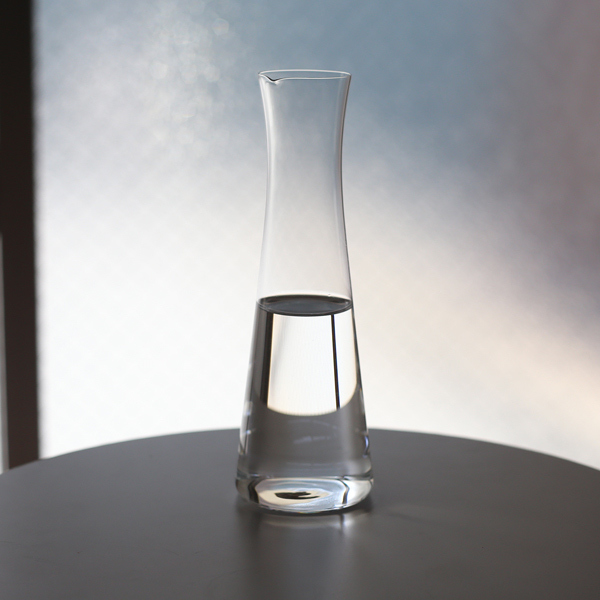 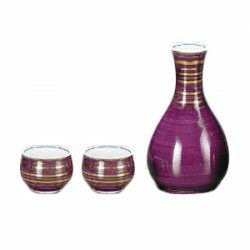 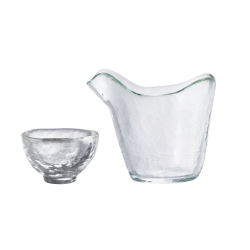 Each piece is hand-blown with great care by local artisans. 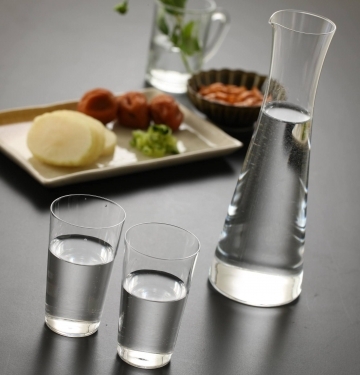 Usuhari is so thin and light that its texture is as if it were not glass. 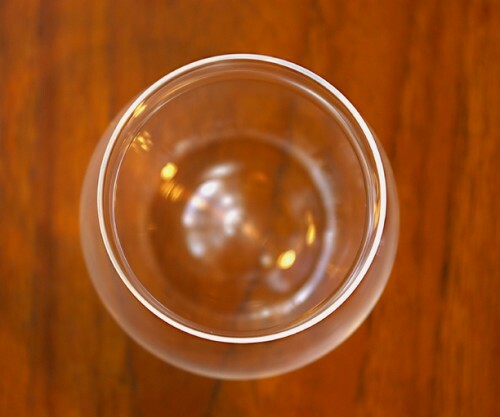 Like wine, the thinner a Sake glass, the better taste and texture you can enjoy on the palate. 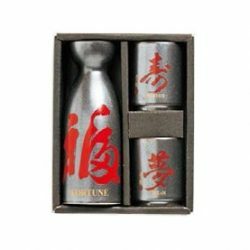 Compare Usuhari with the Sake glass (or table-glass or whatever you have), and you’ll be surprised how differently Sake tastes. 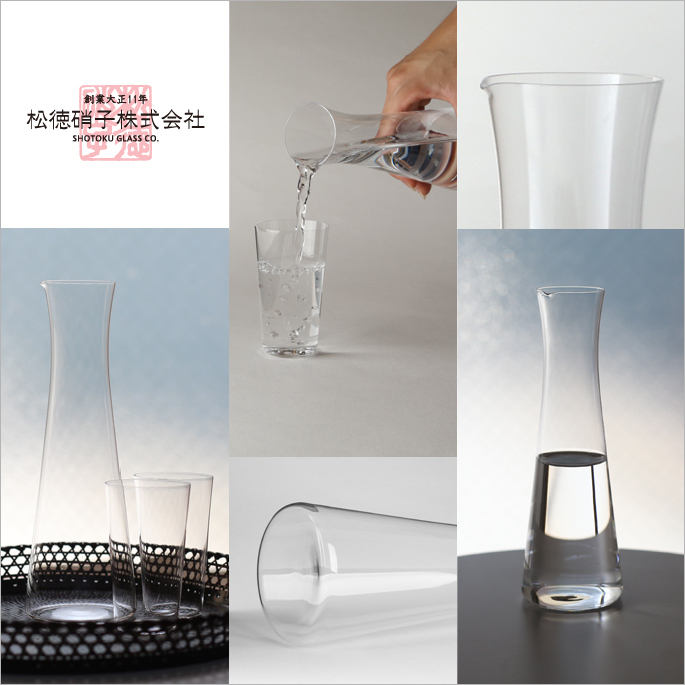 This super-thin glass is thinner than 1mm (0.04″), only feasible by the hands of Japanese skilled artisans. 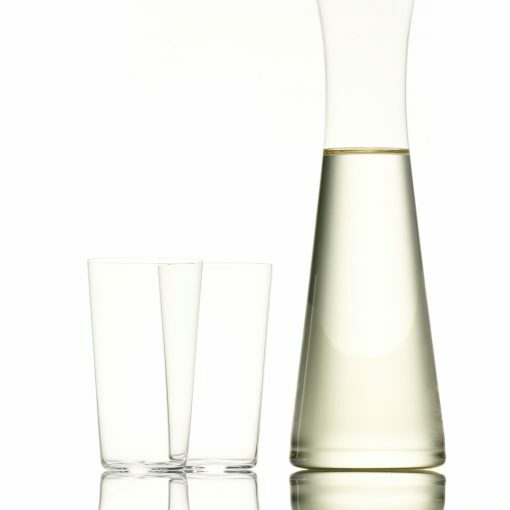 With its unique texture and super thinness, it has great popularity with Japanese Sake drinkers. 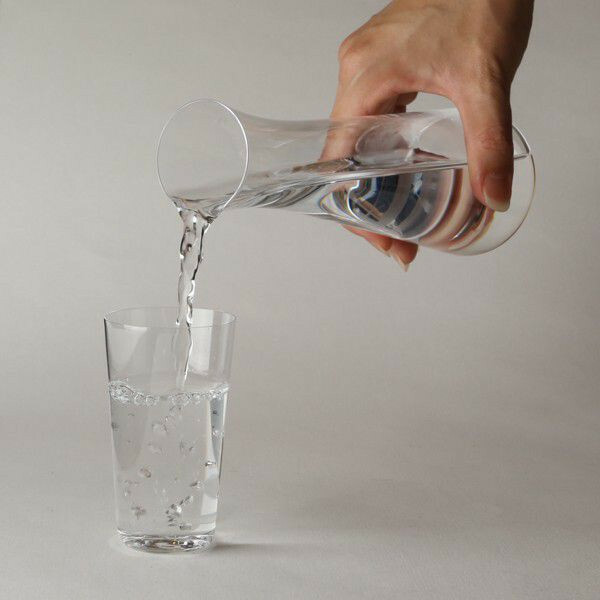 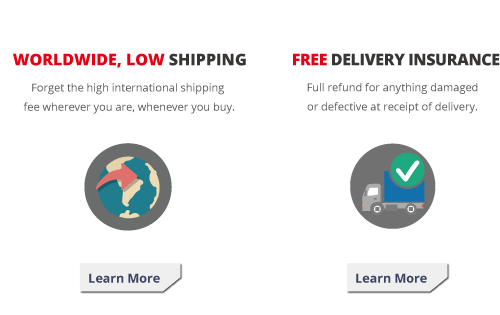 Super thinness doesn’t mean the glass easily breaks as it’s made from lead-free glass.